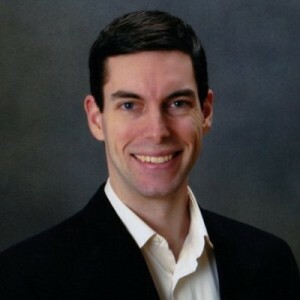 Caleb is a partner and co-founder at Strategic Growth Inc, a Salesforce.com implementation partner that has grown rapidly with a core of partners who are responsible for sales and technology. This means a somewhat different approach to sales (and sales training, as they grow the team). Caleb has a long, long list of Salesforce certifications that I won’t bore you with, but he’s deep into Apex code, the Salesforce API, and more. In this episode, Caleb talks about moving “up the stack”, from implementing features for internal “clients”, to implementing features for external customers, to doing freelance consulting, to co-founding and growing a firm. How to find a niche from a technical perspective. We keep talking about the importance of a niche on this podcast, but what if you don’t know what your real market niche is. Caleb discusses why you can find a niche from the technical side in a way that defines your market niche for you. Why all the partners at the firm have to sell (and keep up their tech chops). The importance of passion, not just with your customers, but with your partners. The really simple way they train their consultants to sell. Château Teyssier Montagne-Saint-Émilion 2012 bordeaux blend. Delicious. Very french, in a good way. Strategic Growth, Inc., and on LinkedIn.